An upward drawing of a DAG G is a drawing of G in which all edges are drawn as curves increasing monotonically in the vertical direction. In this paper, we present a new approach for upward crossing minimization, i.e., finding an upward drawing of a DAG G with as few crossings as possible. Our algorithm is based on a two-stage upward planarization approach, which computes a feasible upward planar subgraph in the first step, and re-inserts the remaining edges by computing constraint-feasible upward insertion paths. 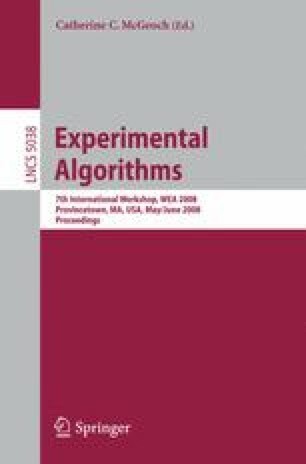 An experimental study shows that the new algorithm leads to much better results than existing algorithms for upward crossing minimization, including the classical Sugiyama approach.